Henry Puyi or Aixinjueluo Puyi, English name Aisin-gioro (1906-1967), was the last emperor of China. He ascended to the throne in 1908 at the age merely 3 and was deposed in 1911 when the Qing dynasty fell. Aixinjueluo or Aisin-gioro is the Manchu family name. Puyi is Aisinjueluo's Chinese given name and Henry his English given name. After the collapse of the dynasty, Puyi retained the title of emperor and the royal family lived in the Forbidden City. There he was taught the English language and chose the name "Henry" for himself, reputedly after King Henry VIII of England. 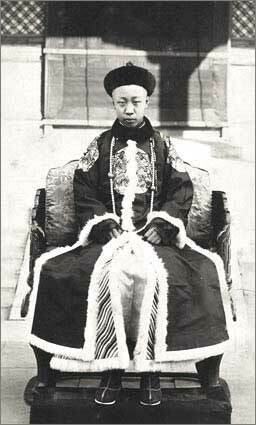 Zhang Xun restored his throne for twelve days from July 1 1917 to July 12. Puyi signed documents of forfeiting imperial status, hence becoming a Chinese citizen, when he was expelled in 1925 by Feng Yuxiang. On March 1 1931, he was installed by the Japanese as the emperor of the puppet state of Manchu under the reign title Kangde. After War World II, he was captured by the Russians and turned over to the Chinese Communists. He spent ten years in a reeducation camp and was declared reformed and became a supporter of the Communists. Afterwards, he was made a member of the National People's Congress. He wrote an autobiography in the 1960s and died in Beijing. 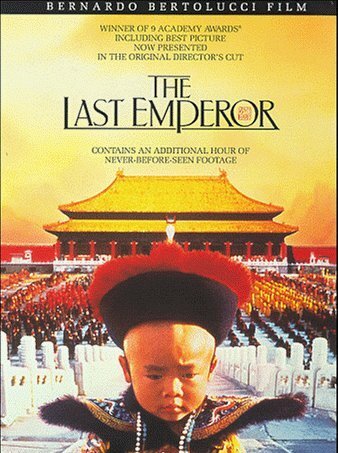 His life was portrayed in Bernardo Bertolucci's film The Last Emperor. Although the film contained some elements of dramatic license, it is considered to be a plausible portrayal of his life. In both his autobiography and the film, Aixinjueluo is portrayed as an largely innocent pawn controlled by more powerful people. Some historians are skeptical about this account: Puyi had a strong interest in minimizing his own role in history, because any admission of active control would have led to his execution. In 1962, he married for the fifth time to Li Shuxian. He was 61 years old at the time of his passing. He was childless. In 1995, his widow was allowed to transfer his ashes to the West Qing Tombs where five of the ten Manchu rulers are interred. Copyright © 2002-2008 Lilicat. Tous droits réservés. All rights reserved.